Although Castillian became the primary language of the area known as Spain, after the Moors had been pushed out of that region, its use didn't eliminate the other Latin-based languages. 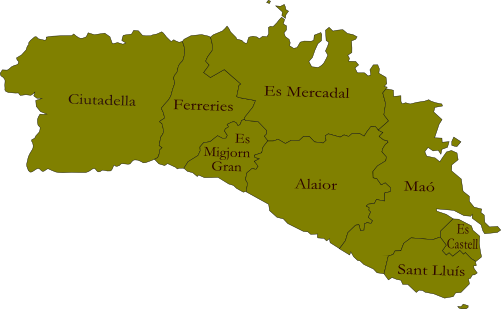 The Menorcan dialect belongs to the Catalan language group, which is one of the major languages of Europe with similiarities to Castillian and French (you may also find some Italian words it it). For Menorcan terms, please click here.